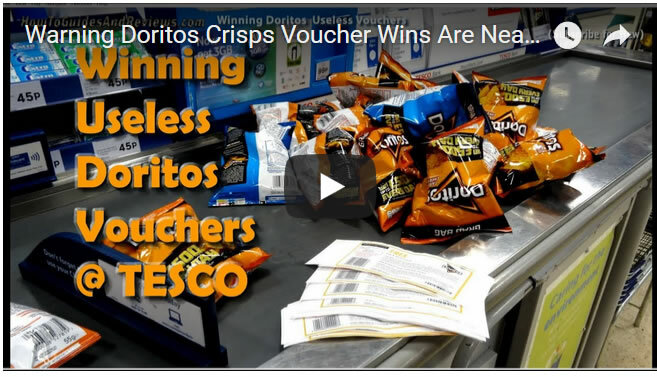 Unfortunately, as the following video explains there is a fly in the ointment for winners when attempting to capitalise on the vouchers / coupons at supermarkets such as Tesco who have decided to restrict customers to just 1 packet of doritos per customer per day. Which can result in an embarrassing shopping experience for customers as they are told that the store is not going to honour most of the vouchers in their hands at the checkout. So there is NO point in going for your weekly shops with your saved up bunch of won Doritos vouchers to the likes of Tesco because they are not interested in honouring most of them and so winners are likely stuck with a bunch of vouchers that unfortunately will expire within 30 days of winning. What's the point of companies such as Doritos holding promotions with customers winning prizes in the form of print at home vouchers for free product if the supermarkets choose to ignore the T&C printed on the vouchers and instead declare we are only allowing 1 voucher per customer PER DAY! This is a PR disaster for Doritos, who clearly never thought out the consequences of the promotion on those who actually won the vouchers. And worse is is that even if you are lucky to win instant cash, usually £5, your likely to only be in receipt of HALF the cash wins anyway. This illustrates the fatal flaw in many if not most super market promotions in that they tend to FAIL to deliver on their advertising sales pitches, where the most notable example in recent times was the infamous Walkers Crisps "Spell and Go" Win 1 of 20,000 Holidays Promotion that only delivered 4% of the advertised prize pool! Only 800 holidays were ever awarded! Therefore Britain's shoppers don't be fooled by the promotional hype of winning x,y,z because you are unlikely to ever fully capitalise on your wins to some extent! 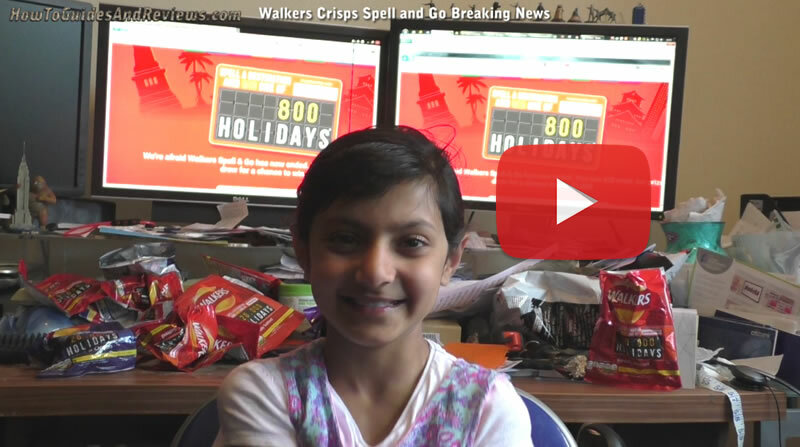 Be it Walkers "Spell and Go" only awarding 4% of the promoted prize pool or Doritos voucher wins hitting the brick wall of super markets not wanting to hand out more than a couple of bags of Doritos per customers PER DAY! Walk with your feet, don't buy products based on promotions and instead always based on price. And avoid those super markets that set out to embarrass shoppers for having the gall to present their won vouchers at the checkouts such as Tesco and Sainsbury.